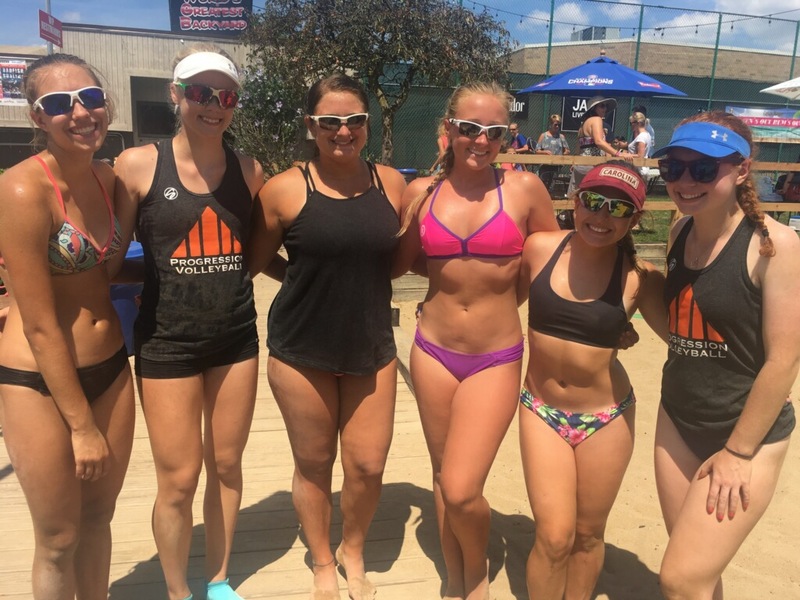 Six of our athletes at a tournament this weekend. Yesterday evening I received the above photo from a parent with a simple text: "The girls at <location> today. had such a fun time with everyone". Did they win? I don't know. I don't plan on asking either. They had fun - and that's all I really care about. Music to my ears as we enter our last week of camp this summer. In a few hours we'll meet for our last Monday practice, at which point we'll huddle around and talk about our weekend tournaments. But we won't talk about who won or who lost - we'll talk about what went well and what didn't. We'll hear stories of the girls who finally succeeded on that skill they focused on last week in our scrimmages, as well as the ones who were put in unfamiliar situations and how they tried dealing with it. We'll assess where people are most comfortable as well as where they're uncomfortable. From there, we'll structure the practices to both reinforce the good as well as fine-tune the areas of improvement. For some, it's harder than others to accept this mentality. There's a phrase I've never been too keen on that goes "If you aren't cheating, you aren't trying hard enough". While I think most people probably don't go that far, I do think that there's a false sense that in order to be competitive, you have to care about winning and losing. Yet, when our kids are nervously looking at the scoreboard between every point, I find they're distracted from the task at hand and typically don't compete as well. Some people struggle with getting used to this mindset more than others, but as we wrap up our summer camp, I think our parents and players are really embracing it. I feel it's helped them play at a higher level, but above everything else, it's made the game more fun for the kids. I look at each girl in that picture and think back to when I first met them. Most came from situations that were pretty emotionally harmful to them. Many had low confidence/self-esteem as athletes. The first few practices weren't about X's and O's. They were about getting them to be fearless on the court, to be aggressive with their movements, to accept their mistakes and learn from them instead of being afraid to make them. They were about teaching the kids to realize what they are capable of accomplishing - not what they couldn't do. The progress every one of these kids have made since they first joined our program is undeniable. Winning or losing doesn't and won't change that. Nice job this weekend ladies - all the coaches are proud of you!